Reply Subj: Re: No, he doesn't have to hold him. It takes time every time I've seen Thor use a portal. 1.Whipping up a dimensional gate to take enemies through he usually twirls the hammer for a few seconds giving fair warning. 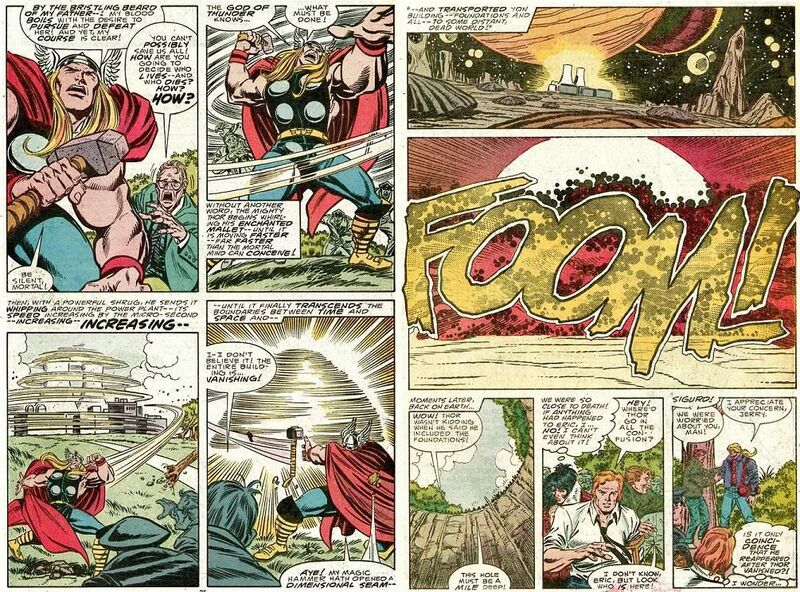 Not easy to do in a fight.Also Thor would be in the actual Sun. Not Atums special place *inside* the Sun as he was before so he's dead too. No 2. Yeah it could work.I'd like to see evidence of this on panel however before I agree. 3. Again takes time. It's not instantaneous and not seen any evidence on panel of this.